The web browser is by far the most important piece of software on your PC—at least for most users. Unless you’re at a workstation crunching numbers or editing the next Star Wars you probably spend the majority of your computer time staring at a web app or a website. That’s why it’s important to make sure you’ve always got the best tool for the job. In 2019 that does not include Internet Explorer. If you still want the built-in option for Windows, that would be Edge, though not for much longer as Microsoft plans to replace Edge (or at least its underlying technology) with a Chromium-based browser. Whatever happens with Edge there are so many other options out there including Google’s Chrome, Mozilla Firefox, and Opera. Let’s take a look at the four major browsers (including Edge) to see how they stack up in early 2019. You might be surprised to find that our favorite overall this year is Opera. Read on to find out why. A perennial favorite, Google Chrome tops the metrics charts of both StatCounter and NetMarketShare by a huge margin. Google’s browser has built a dedicated fan base thanks to its massive extensions library, and the fact that it just gets out of your way to put the focus on web content, not the browser’s trimmings. Chrome isn’t quite as simplistic as it once was, but it’s still very easy to use. There isn’t much to Chrome except a huge URL bar—known as the OmniBar—plus a space for extensions, a bookmarking icon, tabs, and that’s it. Yet Google still finds a way to hide all kinds of features inside the browser, including deep integration with Google’s services. This allows you to sync your bookmarks, passwords, open tabs, and more across devices. Chrome also has multi-account support if you need it on a family machine, a built-in PDF viewer, built-in Google Translate functionality, a task manager, and the always handy Paste and go context menu item. If there’s one complaint people have about Chrome it’s that the browser eats up available memory. Our browser testing in 2015 showed that Chrome was definitely a memory beast, but a few years later it fared pretty well in our tests. For users who love extensibility but want greater privacy than a Google-made browser can provide, the open-source Mozilla Firefox is a great choice. Firefox paved the way for other browsers to become extensible, and Firefox’s relatively new extensions architecture will hopefully help its catalog match Chrome’s Web Store one day. Firefox also has a sync feature to see your open and recent tabs, browsing history, and bookmarks across all your devices. Firefox 64 continues the strong efforts to update Mozilla’s browser that we saw with Firefox 57, which brought a new and updated design with refreshed icons, and a new library section that houses your history, pocket reading list, downloads, and synced tabs. Firefox 64 adds to that with a new task manager, and the ability to use Windows 10’s native sharing tool—personally, I think the old copy-and-paste method is still superior. Where Firefox has really stood out in recent years is with the browser’s incognito mode. All browsers have a private mode that lets you browse without any of your activity being logged in your saved history. But most of the time these private modes still allow websites to track your activity for that specific session. Firefox does away with this by including ad and tracker blockers when using incognito mode. Opera’s also got a few unusual features like Turbo, which saves on load times and bandwidth by compressing webpages on Opera’s servers. It’s also got a nice security feature called domain highlighting that hides most of the URL so that users can see easily and clearly if they’re on Google.com or google.com.scam.com—with scam.com being the actual website. 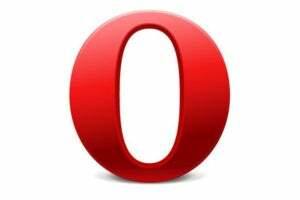 More recently, Opera introduced its own take on the social sidebar with one-click access to services such as WhatsApp, Facebook Messenger, and Telegram. Like Chrome and Firefox, Opera also has its own cross-device syncing feature. Microsoft Edge has always been a work in progress and is about to be abandoned in its current form. 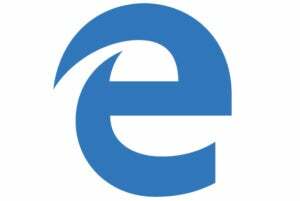 Microsoft announced in December that Edge would become a Chromium-based browser. Once the switch happens, Edge will have similar underpinnings to Chrome and Opera. It’s not clear exactly when this transition will occur, but it’s expected before the end of 2019 or perhaps early 2020. You’ll see below that performance for the current version of Edge is pretty good in some respects, but speed is just one important factor for a browser in 2019. The Edge extensions library is small and will likely stagnate now that its underlying technology is going away. Edge’s sync functionality is still restricted to favorites and the reading list, and the browser doesn’t get updates nearly fast enough. All of these issues should improve once Edge becomes a Chromium-based browser. Despite its current shortcomings, Edge has several helpful features that will appeal to some users. Edge is deeply integrated with Windows 10’s inking capabilities, as well as with OneNote, making it easy to clip a webpage, annotate it, and save it to a notebook. Cortana is also a big part of Edge. You can use Microsoft’s digital assistant to quickly search for information, compare prices, or get a quick calculation. Like Chrome, Edge has a casting feature. It also has a nifty set-aside tabs feature to stash a collection of websites. Other plusses included the ability to read and annotate ebooks (great for tablets) and PDFs, easily pin websites to the taskbar, edit URLs in your favorites list, browse in full screen, see and manage website permissions, and “read aloud” web content. Perhaps the best recent feature, however, is the “Continue on PC” option that lets you push webpages to your PC from your phone with the appropriate apps installed. In the April 2018 Update, Edge got some small but significant feature boosts including the ability to mute tabs and automatic form fill, an updated flyout menu, and clutter-free printing that carves out all the web ads and other detritus you really don’t need on the printed page. Edge also boosted the ebook reading experience with support for narration in EPUB files and improved note taking. The more recent October 2018 Update brought a minor improvement with the addition of blocking autoplaying videos on websites. For more on the current state of Edge check out our Windows 10 April 2018 Update Review and our look at the October 2018 Update. Read on for our benchmark results and our pick for best browser.